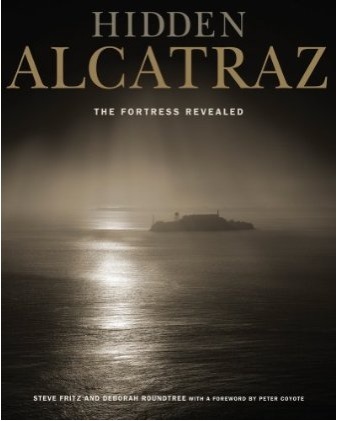 Much has been written about Alcatraz—its infamous history and inmates, the escapes—but this is the only book that visually portrays the current state of the island fortress, which attracts over 1.7 million visitors a year. This unique collection of nearly 100 images was taken over a 4-year period by 33 photographers who participated in a series of workshops at “the Rock” hosted by the National Park Service and photoAlliance, a San Francisco-based photography organization. The photographers range from passionate amateurs to seasoned professionals; what united them was their curiosity about Alcatraz and their willingness to explore it. Among the best-known of the group are Robert Dawson, who taught the workshops; Alex Fradkin and Thom Sempere, the director of photoAlliance; and Steve Fritz and Deborah Roundtree, who undertook the complex labor of love that was the process of creating this book. HIDDEN ALCATRAZ includes an insightful foreword by Peter Coyote, the actor and former head of the California Arts Council who was present during the latter part of the occupation of Alcatraz by members of the American Indian Movement from 1969-1971; an introduction by John Martini, an expert on the island’s history who was one of the first park rangers to work at the island when it was decommissioned as a federal prison; and an afterword by Thom Sempere, director of photoAlliance.